Now that fall is in the air, it's time to get creative with homemade cocktails and mocktails that are perfect for those cold autumn days. Preston Apartments has put together five fun and unique drink ideas with a little kick to keep residents warm. Turn an iconic Hallowe'en treat into a delicious cocktail. Caramel Apple Punch combines the ingredients of a caramel candied apple with body-tingling spiced rum. It's very simple to make with only four main ingredients: apple cider, lemon juice, spiced rum and apple garnish. Fresh apples and other ingredients can be found near 90 Eastdale Avenue at Danforth Market (2742 Danforth Avenue) which is west on Danforth Avenue after heading south via Dawes Road. Nothing complements the autumn season more than the smell of fresh cinnamon and nutmeg. It tastes delicious while warming people up from the inside out. Spiced Cider Tea mixes spiced cider and your favourite tea (it can also be made with coffee, juice or cocoa). Buy the ingredients like cloves and nutmeg near 90 Eastdale Avenue at Sobeys (2451 Danforth Avenue), which is west on Danforth Avenue after heading south via Barrington Avenue. This cocktail is perfect for those who enjoy the flavour of pumpkin but like to keep things light on the spice. The Pumpkin Patch Cocktail uses only a dash of pumpkin seasoning for a full-bodied flavour. The ingredients create a salty, sultry taste that tantalizes the taste buds. 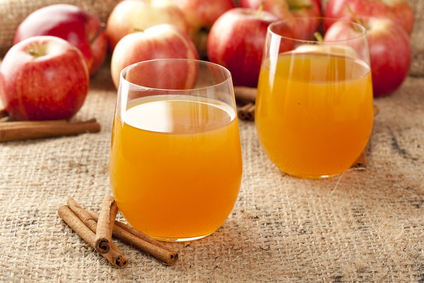 Serve it best with a silver tequila or apple cider mixed with honey. Inspired by the Jimi Hendrix song "Voodoo Child", this cocktail is the perfect addition to a Halloween party. Described as a "grab-you-by-the-boots" kind of drink, this cocktail comes with quite a kick. Find all the spirits you need at the LCBO (3111 Danforth Avenue) on the corner of Danforth Avenue and Victoria Park Road. Head south via Dawes Road and east on Danforth Avenue from 90 Eastdale Avenue. Bring back memories of sipping on delicious hot chocolate as a child, with this enhanced cocoa recipe. The Baileys Peppermint Cream cocktail combines the smooth chocolate taste of Baileys with creamy hot chocolate. Top it off with whipped cream, a dash of ground pumpkin spice or garnish with a mint leaf. Prefect on a cold night, this cocktail will not disappoint. Celebrate autumn and Halloween at a whole new level with these five mouth-watering drinks.